wow!! sounds like it was a increadable concert! amazing – to hear that my idol of the 80’s is still remembered well & appreciated. Damn, wish I was in LA. This is a great way to show the love!! What a lineup to be sure led by the super Buddhists Herbie Hancock and Wayne Shorter NMRK. Looks like an amazing event and Jaco, who basically rewrote the book, deserves all of the praise. One question…why is Jeff Berlin not on board? Jaco lives on, as Herbie Once said. Really hope there will be a recording and afterward broadcastying or streaming of this session. Please would anyone have some information, share it with other Jaco’s fans. Why isn’t Pat Metheny gonna be there? And Mike Stern? How come he is not in the special guest list? i wish you were streaming it live as I am in Chicago and cannot be there! I am such a big fan of all of those who are there and Jaco of course! I loved him, weather report and all that they represented!! Best of music ever in my heart and soul! Birdland…….with jaco bouncing makes me bounce too! I’m just gutted I’m not playing with them lol. Seriously, it’s a great tribute to a great musician. Too bad you cannopt stream it……………………..
I’m looking forward to the show tonight and the movie on Monday. Interesting seeing this post show up in my world today. I hadn’t listened to Jaco’s music in awhile. Then the other day I put on the 2 cd of his 2 cd compilation. It’s beautiful to see such a wonderful tribute take place. There may people who say there are players as good as him or better than him these days. 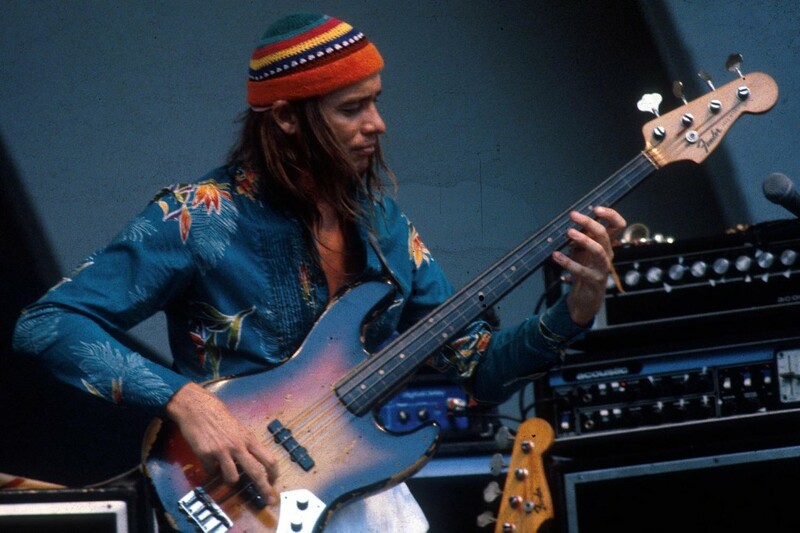 But Jaco was a pioneer. No one was playing like him prior to his time. No one was touching and playing the bass like he was. Any artist who sets a precedent that turns into standard is always in a class by himself.